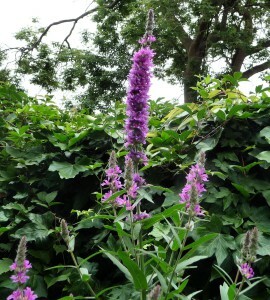 A wildflower of wet ground, Purple-Loosestrife grows at the edges of ponds, rivers & ditches. 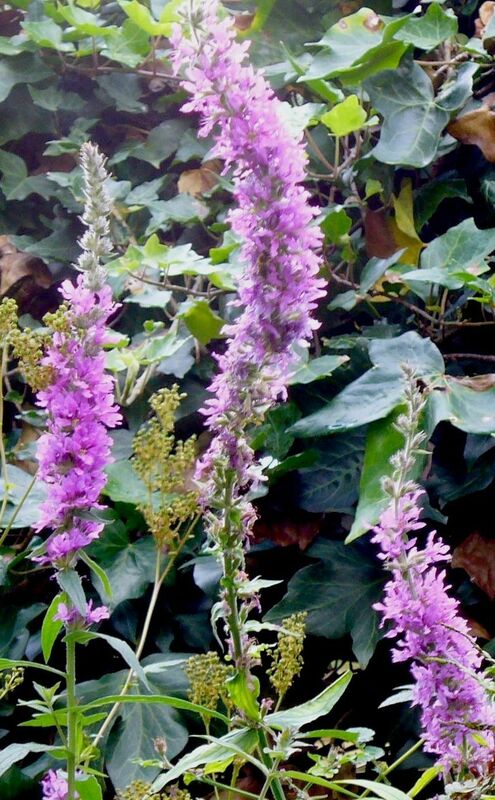 Its tall, elegant spires of MAGENTA-PURPLE flowers bloom from June to August. 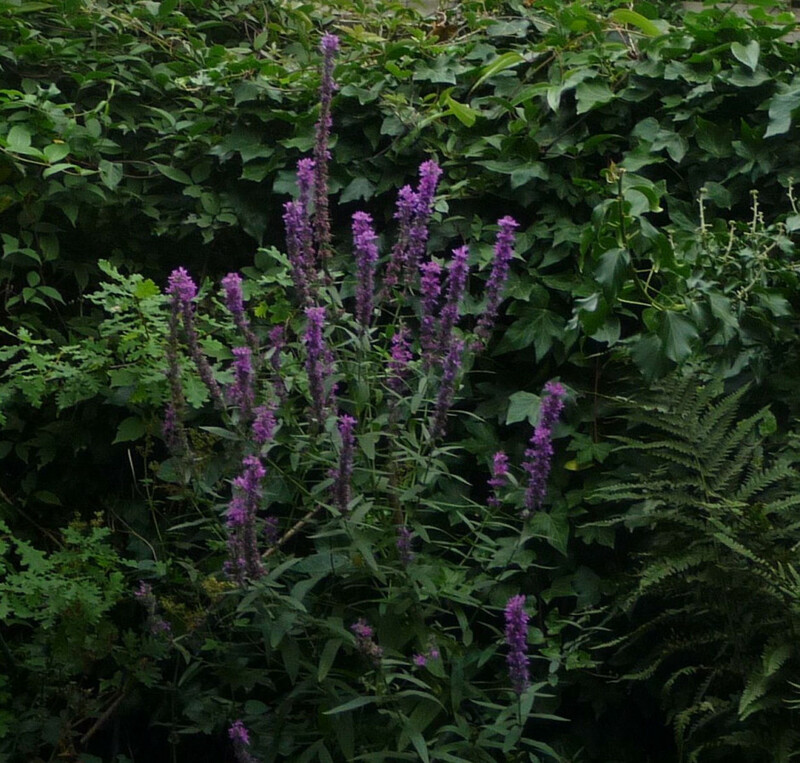 If the plant has suitably moist soil & can reach its full height, it forms a candelabra. 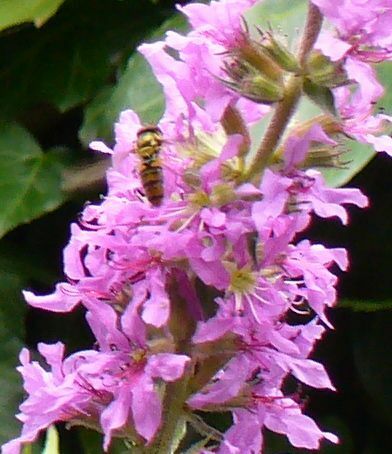 Lythrum salicaria is loved by Bumblebees & other insects, including The Emperor Moth, The Pug Moth & The Powdered Quaker Moth. 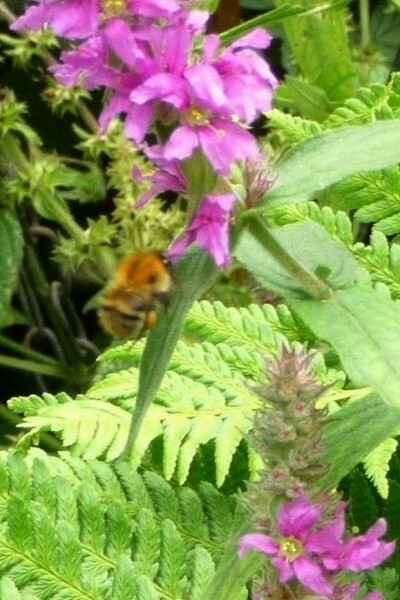 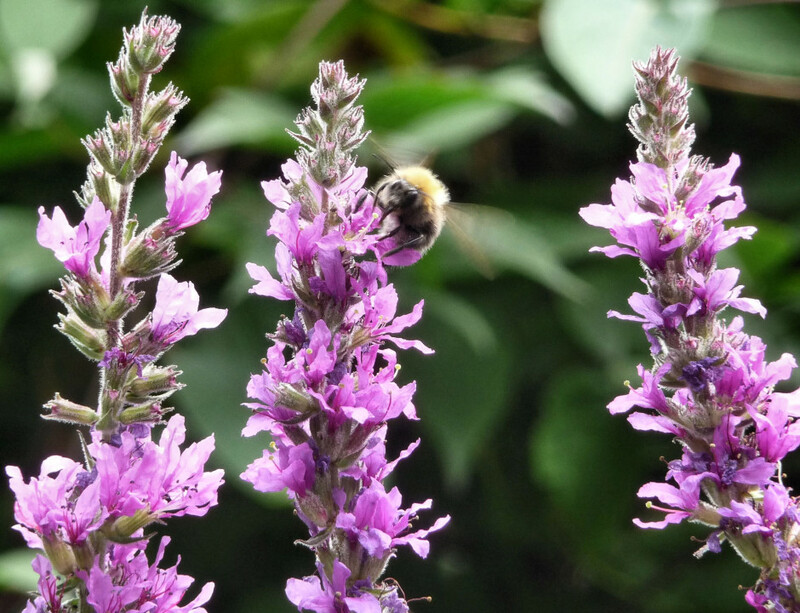 We try to have as many bee-friendly plants as possible, & the devotion shown by Bumblebees to Purple-Loosestrife makes us wish it could make more of itself here. 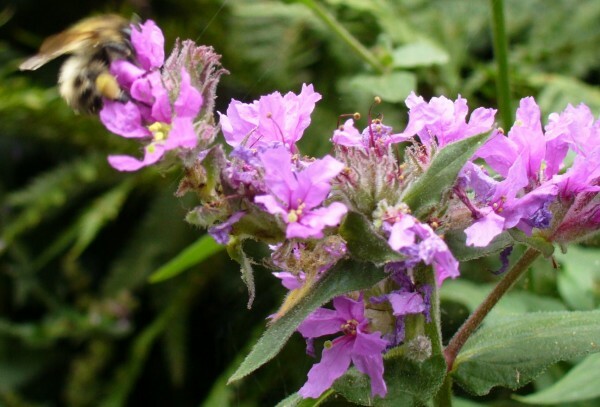 Other names: Arroyuela, Blooming Sally, Bouquet-violet, Braune weiderich, Emmets Stalk, Flowering Sally, Foxtail, Grass Polly, Herbe aux Coliques, Herb Twopence, Long Purples, Loosestrife, Lysimaque rouge, Lythrum, Milk Willow-Herb, Partyke, Purplegrass, Purple Lythrum, Purple Willow-Herb, Rainbow Weed, Red Sally, Rosy-strife, Rother weiderich, Sage-willow, Salicaire, Salicaire Commune, Salicaire Officinale, Salicaria, Soldiers, Spiked Loosestrife, Spiked soldiers, Spiked willow herb, Willowweed, Willow Sage, Willow Strife.